The beautiful Super Moon which is the brightest moon is now gone from our evening sky. Even though I hate to see it go, I now look forward to seeing the Milky Way again. In most regions of America the Milky Way is visible once darkness falls. In my rural area of southern California, Metropolitan lights from Los Angeles to the suburbs of Riverside can really affect the evening sky and how well the stars appear. After 10 PM or so, when folks start to settle in for the night, it seems like the blanket of the night sky begins to become more vivid allowing me to see parts of the Milky Way. It’s hard to explain how the glow of southern California's city lights can affect your view of the nights sky even if you’re 40 miles easterly of Los Angeles. The earth's glow that astronauts often see Earth's atmosphere while above populated regions does affect the stars view from ground level and the city lights often dim a bit when people go to bed. My area in which I do most of my vegetable gardening from doesn't have very many street lights or even curbs for that matter. It’s a ranchero community where horses and other hooved animals often outnumber people. I notice when school is back in session, the night sky darkens a bit more around 10 PM. 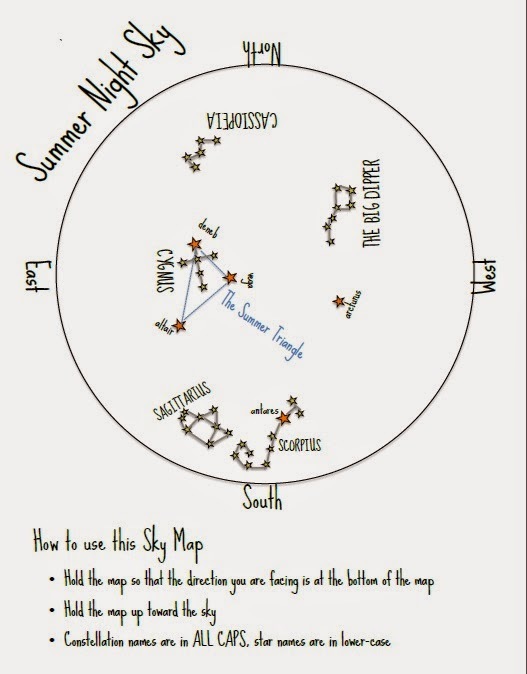 During holidays people tend to stay up longer or there is more traffic which contributes to the light pollution. Since the Super Moon had left the Milky Way is now more viewable even in cities across America from the northeast to southwest. I always recommend stepping outside and looking up a few nights a week if not every night. Since there is an increase in light pollution over the past 40 years or so years, many of the younger generations probably has never seen the night sky in all its grandeur. Summer time is the best time to take an evening ride just to see the stars! Yes the stars! Don’t you remember as a kid when we used to lay on our backs at night and love looking up into the night’s sky? Wasn't it exciting to see a shooting star or seeing the stars twinkle? Somehow we've all gotten away from laying on our backs in our own lawns. 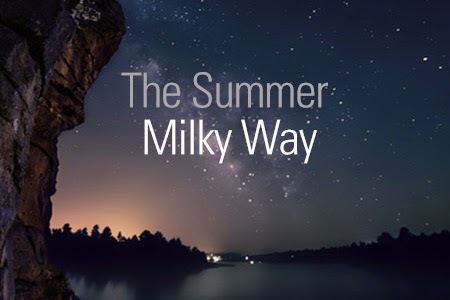 The Milky Way is often the most brightest from the Northern Hemisphere but, it can be viewed in regions within the Southwest when the sky falls dark enough. That’s usually after folks and industry go to bed for the night. The brightest part of the Milky Way is in the constellation Sagittarius. The glow of the Milky Way is actually the Sagittarius Star Cloud and its gases with mini stars and cosmos litter clustered about. The Milky Way is just as important to me as summer gardening. It’s a time to relax and to acknowledge the Universe and to reap all of your hard work. Most of us garden for fun, our health and for our families, friends and community. Summer gardening is hard work and it's often taken for granted by others. The Milky Way is there to reward you for just being you. The next time you feed your dog at night, shut off the porch light and look up. Before going to bed, open up the door or pull the drapes aside and look up. It’s the small things in life like the summer sky, green grass, ripe backyard tomatoes or fresh cut flowers that makes us feel alive and are enjoy life’s little wonders.